baby is not too bad for a model of an adult. Definitely caused a laugh Juergen! Juergen it seems to me that you create layouts all the time! I have never seen an overall plan of your layout in all the time I have watched your amazing collaborations of timely and specific productions of scenes. You are one very creative modeller!! Never had a plan or a Gn15 layout. Only a few hundred figures and some backdrops- Plus a 4 square meter garden. Recently I was playing with a cave and some track in an Ikea APA Box. http://www.die-feldbahnsinnigen.de/forum/viewtopic.php?f=22&t=564 The light in there seems to change every minute. I've been messing around with some Bachmann Big Haulers figures, to be exact the Engineer (Sitting) figure. From left to right - figure as bought, my modified figure, Schleich 4x4 driver (now discontinued?). 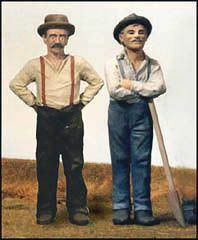 The bachmann figures have a body/legs made of a hard plastic with a rubbery plastic used for the head and arms. Both plastics seem to stick alright with superglue though. Modifications to the figure are straightening him up, moving the arms and removing the hat and gauntlets. Scale wise, they come out as being just over 5 feet tall in 1:24 where the Schleich figure comes out as around 6 feet - not sure if the bachmann figures are under scale or the Schleich figure overscale or both. backwaterscotland wrote: Scale wise, they come out as being just over 5 feet tall in 1:24 where the Schleich figure comes out as around 6 feet - not sure if the bachmann figures are under scale or the Schleich figure overscale or both. Cant speak for the scale of the Bachmann figures, but they look close to 1:24. The Schleich ones though are intended to be 1:20, so yes they are overscale, but usable with care and can be chopped around as you have seen in other threads. It has all the usual properties of standard superglue but the addition of rubber does seem to do what it says on the tin, its does provide a degree of flexibility and also acts as a filler. Thanks for the link, Gordon. Do you know if it can be filed to shape when it is dry? Thanks for the tip, Gordon. 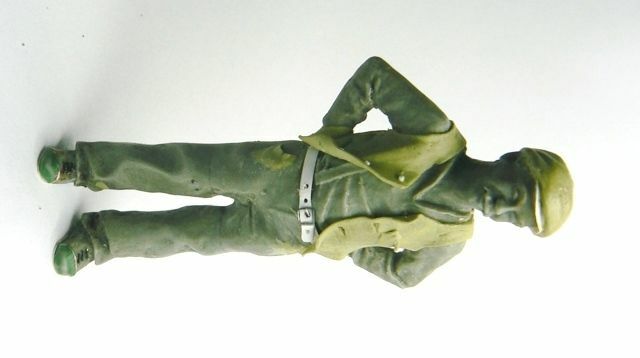 I've ordered some so will give it a try, my Chinese "man with suitcase" has been chopped and filed and is just waiting to be stuck together to make a driver. I needed some 1930's to 1950's "British" workmen in the proper scale so decided to play with some of the SLM figures in the spares box. One of the best jobs I've seen in a long time. What material did you use for the waistcoat and the other adds ? Superb Gordon, same question from myself as that of Henrik's? Is it Games Workshop "Green Stuff"
Glad you like him ................ amazing the number of faults you notice after you have posted the pictures, need to sort out some of the paint work around the belt, etc. Now you either love this product or hate it ............. me I like it because you can roll it out into thin sheets as long as you dust your surfaces with some talc. Its water soluble so you can blend in with a damp brush & push /prod into folds etc ............. and if you gently heat with a hair dryer you can speed up its setting time. The waist coat was made of 3 separate parts, left & right front and a back cut roughly to shape following a paper pattern previously made up ..... dampen body and then apply letting each piece harden off a bit before moving onto the next bit .... with a bit of heat doesn't take long, all the work on this figure was completed in a couple of hours. One tip I would suggest is that if you purchase it cut the rolls of putty into smaller lengths and either place in sealed plastic bags or wrap in cling film .......... this just helps to stop it all drying out to quickly. I agree Gordon. When I was modelmaking for a living, I often used it. Not only was it easy to work when soft, it could be carved and drilled when hard. Very versatile. I am about to have a go at building a model rat for my Acme layout ..... and after going to various craft and model shops finally finished up with a pack of Milliput. Everything else was out of stock. Thanks for the working tips and the storage tip about the Glad wrap. Looks good Gordon maybe I'll try one once they're available. 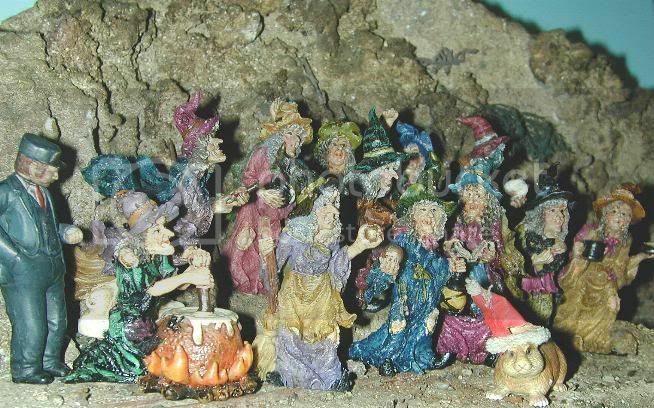 More resin figures from China have surfaced in Doll's House half scale. The new ones are up-market women that might suit any Heywood style layout. Has anyone any experience of using this figure? I got 24 figures from China, different seller name, but I think some of them have several eBay accounts, so it might be the same one. But have been in contact with Michael and he is prepared to consider doing them or variations in 1/24 . BUT he is a small producer and needs to be able to have some idea if there is a real interest. If you are not on facebook and don't want to join send me a PM and I will register your preference . I have no connection with this company, only an interest in trying to get some new and different 1/24 figures out in the market . As mentioned in the original thread - can you formally register my interest in a 1/24 set for me? 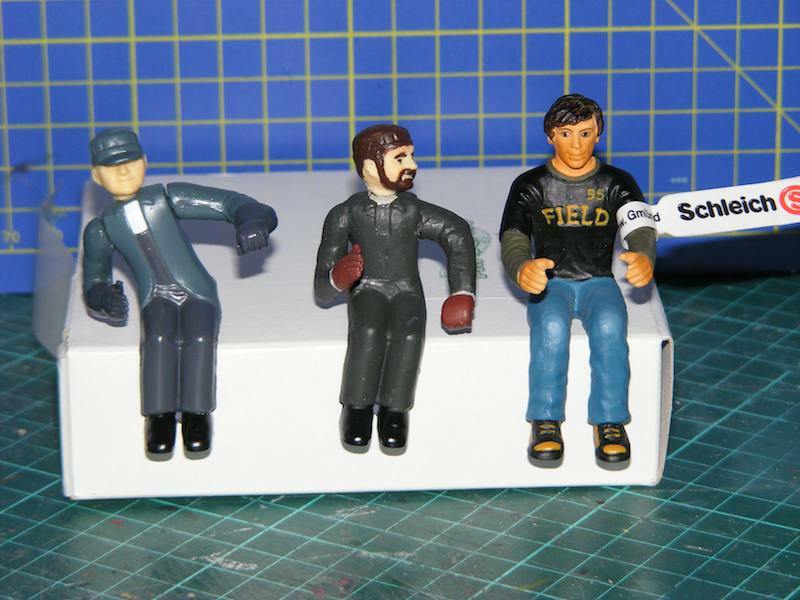 Just to let you know that the "deckhand" figures http://www.finescalerr.com/smf/index.ph ... 3#msg33003 will be made available in 1/24. Still waiting for availability date but should be fairly soon. Last edited by gfadvance on Wed Apr 04, 2012 8:02 am, edited 1 time in total. 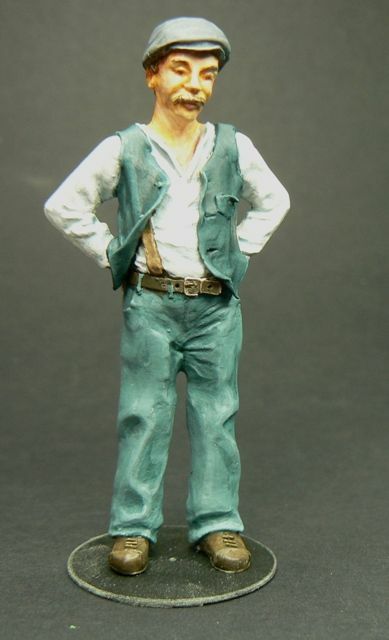 gfadvance wrote: Just to let you know that the "deckhand" figures will be made availble in 1/24. Still waiting for availablility date but should be fairly soon. Brilliant - Let me know when, and if it suits it might be worth doing something with the shipping.